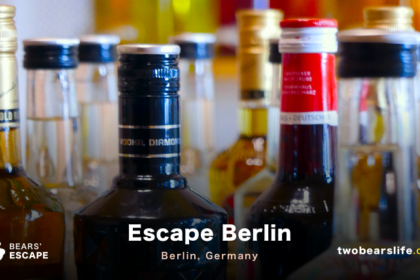 The Berlin – Location of Final Escape is located fairly in close to the city centre. 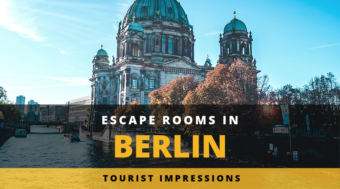 You can either take a 20 minute walk from Alexander Platz or hop into a tram to reach it in under 10 minutes. Once we arrived, we were greeted in a nice and comfortable waiting area. We stored our luggage, payed (which is kind-of a first, normally we pay afterwords) and than got introduced to our gamemaster. He took us to a pretty impressive area that was one of the most stylish meeting rooms we have ever seen and totally on theme with the steampunk look. After he told us the (rather long but interesting) introduction story, we went ahead and started the game. Once upon a time there was a puppeteer who toured across the country with only moderate success. He could just about keep himself afloat until one day he came across a speaking wooden puppet. He managed to persuade the puppet to tour with him and thus became incredibly famous. One morning the puppeteer awoke to find that the wooden puppet and all his income had vanished. The now desperate puppeteer tried to carve a new talking marionette but all efforts were in vain. This was the moment when he came up with a gruesome plan – to make his living puppet from human body parts instead of dead wood. After the door closed behind us, we started very much caged – and impressed by the room design. We have seen some pictures of the Steampunk Puppeteer while researching the rooms. 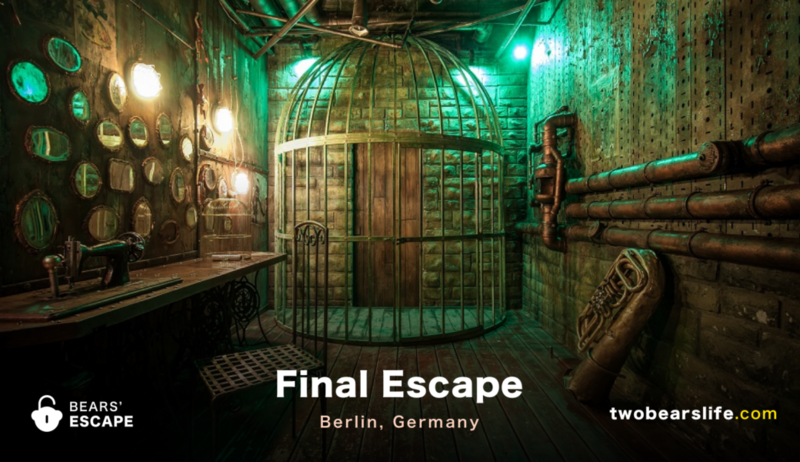 But while some rooms can not hold up to the online representation, Final Escape really did an impressive job designing and building this one. 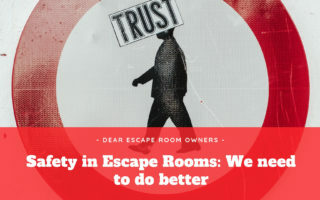 The funny thing is, while we were generally impressed by the look of the room and tried to search the room while still appreciating the room design, we totally missed the starting point of the game. While we tried to look at everything that was actually visible from our point of view and with the limited light source, we did not see what we had to do first. And that was a continuing story for us throughout the whole game. The to be quite honest – the first task is not really hidden. It is actually quite obvious what you have to do first – but well, we did not see it without asking for our first hint right there. 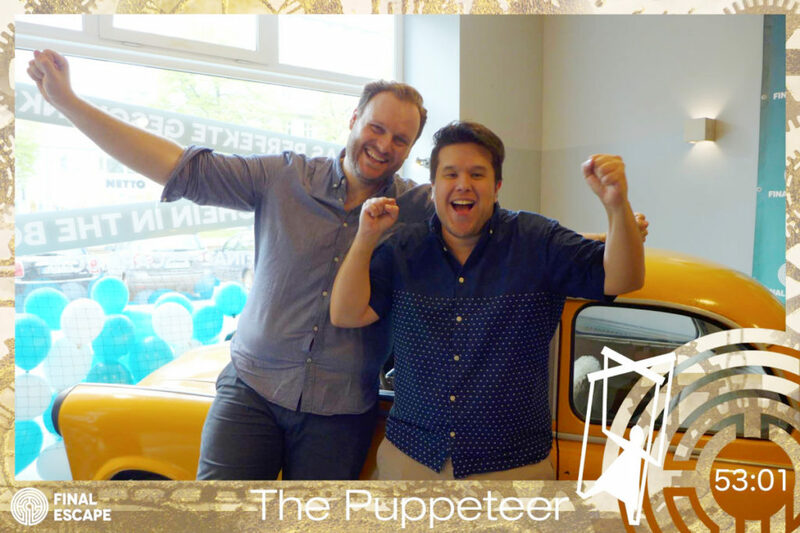 For some weird reason, our search skills failed us in a big way in The Steampunk Puppeteer. The room has a lot of design-elements on the walls and ceiling, while actually not having that much other distractions in the room. So it is weird that we still needed a lot of help to actually find what we had to do. 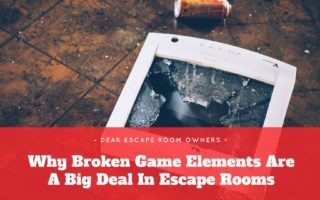 Some can be linked to the room design, having a lot of pipes and decoration element with with limited light, which led us to struggle with finding simple keyholes or missed some crucial game elements. But it would also not be fair to completely blame the game for that. Like I said – we just sucked searching in this room, hence we needed some (*cough* a lot *cough*) help to actually find next steps, once we finished a puzzle. The final puzzle element is nice and fits really well with the theme. Once we solved the last element and successfully finished the room, we had around 7 Minutes left. The idea of the Steampunk Puppeteer is really cool and the room-design is executed really well. Frankly, it looks amazing. You can clearly see the effort the designers put into the look of this room. While we hardly struggled with any of the puzzle logistics in the room, we had a hard time with the searching portion. Quite frankly, we just struggled with the general game-flow a bit. If you find the right elements fast, there is a chance you can breeze through this room. But we failed a lot with our search-skills, so we struggled more than we should have. There were times when we were just standing around, not completely sure of what to do next. Although we had a super nice game master, sometimes we wished that the clues we got were more on point. But – generally we really liked the idea and the look of the game. The progression of the story in the room is nice and the different sections work well within the game. 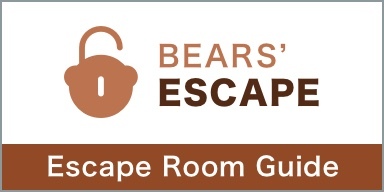 It is not stuffed with puzzles – so we would suggest an ideal group of 2 to 4 people for this room. But the puzzles you find have a good variety and do not feel repetitive. To sum it up: we were really impressed by the look of the game and the design of the whole company. We wish the game itself would guide the player a little bit better from one puzzle to the next – but in total, it we had a good time. 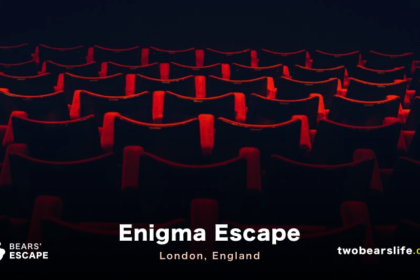 Final Escape in Berlin offers four games – we played one of them: The Steampunk Puppeteer. The company offers a big lobby with a nice waiting area as well as clean bathrooms. The hostess and the gamemaster were really welcoming. The room design of The Steampunk Puppeteer was really impressive, sadly we struggled a bit with searching and connecting from one puzzle or task to the next. The puzzles themself were well done and were fun.